Chitkara University is a dream envisioned and realised by Dr Ashok K Chitkara and Dr Madhu Chitkara—two academicians dedicated to the mission of spreading education. Through their diligence and inspiring leadership, they have helped create a learning environment that represents a unique blend of distinguished faculty, brilliant students and proactive collaborations with industry. The genesis of an institution of academic excellence lies in the principles, profile and the vision of its founders who define its mission, purpose and the direction. Chitkara University was founded around the vision, and the academic accomplishments of Dr. Ashok Chitkara and Dr. Madhu Chitkara, who have pledged four decades of their lives, and career to educate, and mentor students. Their commitment to the quality of education and student success has become the cornerstone of Chitkara University’s growth philosophy. Being a ‘not for profit’ organization, all efforts and resources are re-invested to ensure that each student gets the requisite mentorship and skill sets to explore their real potential and add value to themselves, their careers, and to the community at large. Our academic excellence is complimented by an accomplished faculty, impressive infrastructure, extracurricular facilities and adequate residential accommodations. At Chitkara University, the quality of education takes a clear precedence over quantity of students where we keep a check on small class sizes so that each student gets the time, attention and the mentorship that they deserve from their teachers. Our alums are the biggest testimonials of our commitment to academic excellence, and have made us proud with their accomplishments in diverse careers, nationally and overseas. We offer career placement services and an access to global education through student exchanges, course articulations, study abroad options etc. where we have partnered with more than hundred leading institutions in different continents. Being a research focused University, we encourage new ideas and innovations to provide support and help realize students vision. We have built few of then best entrepreneurship incubation centers in India across our campuses to provide our students with the infrastructure and resources, coupled with a strong mentorship from veterans in their field. Our doors are open for all to come and discover an applied education that is way ahead of its time at Chitkara University. And explore and realize your potential. 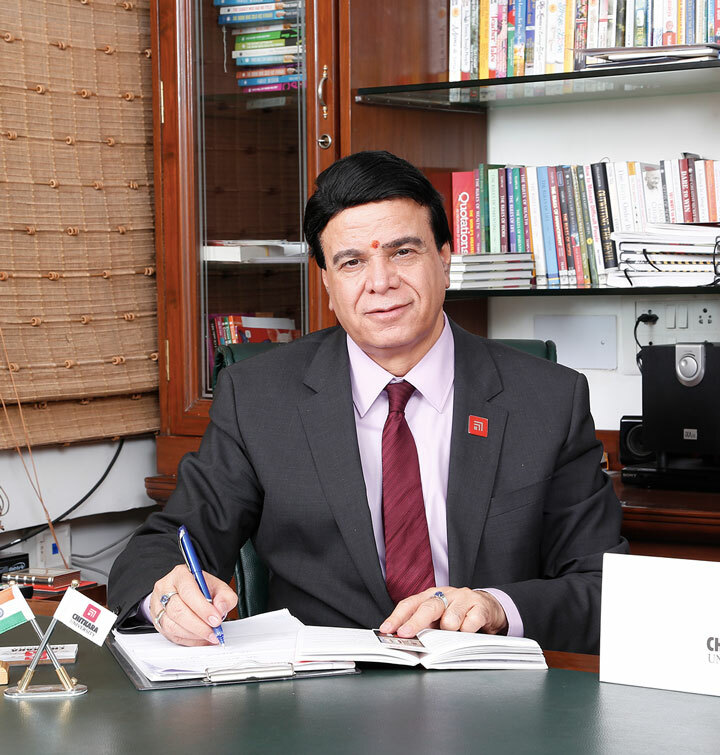 With exemplary elegance and polished ideas, with towering calibre and right balance of thoughts and beliefs, Dr Ashok K Chitkara is the face of potential youth and equitable education. A renowned mathematician and a legendary academician, Dr Ashok K Chitkara is the Chancellor of Chitkara University, Punjab and Chitkara University, Himachal Pradesh. His perspective and farsightedness in the field of education has rendered future promising prospects in the fullness of time. Dr Madhu Chitkara is one of the co-founders of Chitkara Educational Trust, an organization of great repute & distinction. 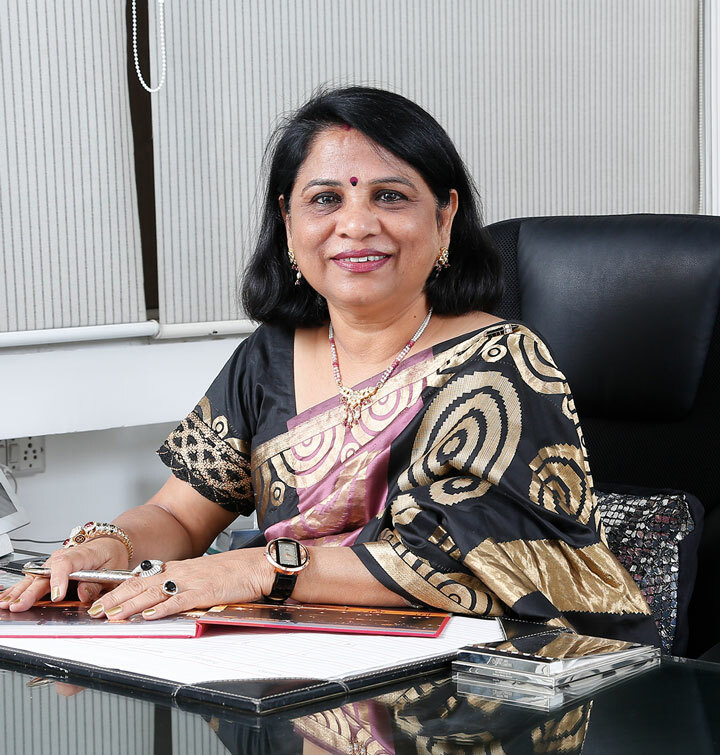 An eminent academician, an innovative entrepreneur, she has articulated, designed the road map for the Trust & has actively contributed to its tremendous growth and recognition in all these years and is spreading light of education in the life of tens of thousands of people.